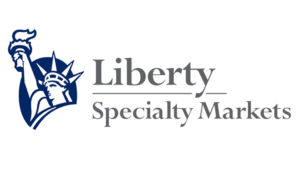 The Channel Syndicate and Canopius are to join Liberty Specialty Markets (LSM) in a $27 billion consortium to provide capacity for LSM’s new electronic trading platform, Toredo. LSM, part of Liberty Mutual Insurance, recently announced the launch of Toredo, its new web-based platform for transacting specialised trade credit insurance for banks, corporates and commodity traders, and hinted that it would seek extra capacity for the project via an undisclosed consortium. Now, it’s been revealed that the Channel Syndicate and Canopius has joined LSM to form the London Market Credit Consortium (LMCC), which will provide up to $75 million of capacity per risk with a maximum two-year period. Initially, the capacity will support short-term trade finance business, and will be accessible to any Lloyd’s accredited broker signed up to the Toredo platform. LSM’s consortium underwriter, Chris Hall, said of the arrangement: “By forming this consortium we’re able to bring together like-minded underwriters who can provide significant capacity to the underwriting of short-term trade finance business. Bernie de Haldevang, Head of Specialty at Canopius, added: “This is a very exciting development for the structured credit insurance market. The launch dates for Toredo and the LMCC are due to be announced shortly, and will be accompanied by full details of product range and instructions for accessing the platform.